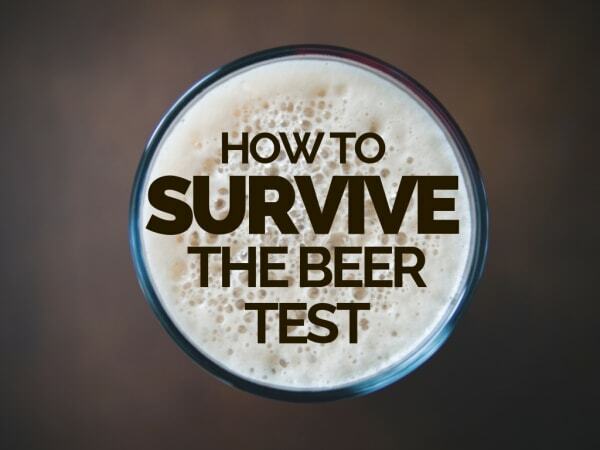 I write this having failed every single beer test I’ve ever attempted. So while I’m hardly an authority on the subject, it’s precisely within my interests to finally figure out how to weather a night on the pig’s ears. Ray Mears. The John Deers. And the Richard Geres. 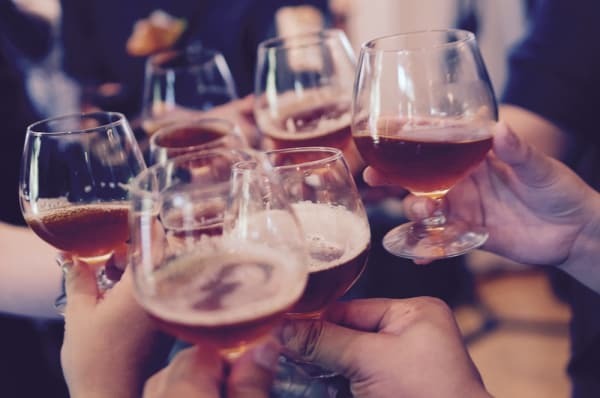 Whatever you call them, throughout history, beers have fulfilled their role as the social lubricant of choice for cultures spanning Ancient Egypt, through Medieval Europe, right up to present day. The modern beer test’s one of endurance. Specifically, how many alcoholic beverages can you put away without ruining your reputation. Recruitment companies use it as part of the interview process to gauge the constitution of potential new starters. To see what they’re really like once they get a little loose. It’s often advertised as a casual affair. But make no mistake: you’re going out out. And you’ve got to leave a good impression with the MD, the top biller, and anyone else you’re likely to call a colleague in the not to distant future. No pressure. There’s a simple way to guarantee passing the beer test: don’t drink. Although if that’s not the path you’ve chosen, you’ll want to read up on how to give yourself the best possible chance of surviving recruitment’s favourite initiation rite. A new role, increased status, maybe even a minor hangover are yours for the taking. 1. Set a limit. 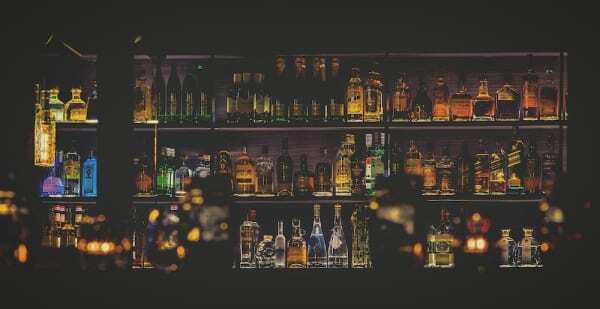 Whether that’s the maximum number of drinks you’ll have or a time to make your exit, it’s much easier to keep track of how much you’re putting away if you’ve got a number in mind to hold yourself to. 2. Pace yourself. Alcohol’s alcohol. You’ll have to process it eventually. It’s just best if that’s not “all at once” and “right at the start of the evening”. Research shows that drinking out of a straight-sided glass (as opposed to a curved one) makes pacing yourself easier. 3. Avoid sugary mixers. They can mask the taste of spirits, making it easier to lose track of how much you’ve had. And low-calorie mixers get you drunk faster, because the sugar in full-fat soft drinks slows down how quickly the alcohol’s processed. 4. Hydrate. Alcohol’s a diuretic. Which means you’ll end up dehydrated, even if you don’t feel like you are. Replacing lost water’s key to combatting light-headedness and nasty hangovers. Aim for a glass of tap in between rounds. 5. Eat. Most people go for carb-heavy, fatty or protein-rich meals to line their stomachs. And this will slow down how quickly alcohol reaches your brain. But research suggests fructose (fruit sugar) significantly lowers blood alcohol levels. Eating dried figs, apples, bananas and honey will all have the desired effect. Also if you’ve got any baker’s yeast lying around, try mixing a spoonful with yoghurt and snarfing that before a sesh. This tip comes from Jim Koch, Co-Founder and Chairman of The Boston Beer Company. Yeast contains enzymes that break the alcohol down before it’s absorbed into your bloodstream. It doesn’t work on everyone but if it does the trick for a Brew Master it’s probably good. Remaining un-plastered’s only one part of passing the beer test. You’ll also have to impress. Big billers opinions of you will carry weight. As will those of the Consultants who have been there since the doors opened. Essentially, you’ll be embarking on a relatively sober charm offensive. Here’s how to ensure you put your best foot forward. 1. Shake hands. Stand up. Eye contact. Smile. Three pumps. And don’t do the thing where you squeeze as hard as you can. You’ll get plenty of opportunities to practice handshakes as you’ll meet 8 “top billers” across the course of the evening, all of whom are called Josh or something. 2. Body language. Appearing attentive and friendly is something you can work on. Turn to face the people you’re speaking with directly. Keep your back straight and relaxed, and your eyes forward. Hopefully this’ll be quite a merry meet and greet so keeping a frown from your face shouldn’t be too much of a challenge. 3. Mirroring. The act of mimicking the behaviour of others, intentionally or otherwise, is a powerful technique to get people on your side. It doesn’t mean to copy their actions. But smaller things like replicating their stance or taking a sip of your drink at the same time they do. You’ll come across as familiar, despite being new. 4. Open questions. Nerves can get the better on occasions like this. And the tendency’s to leap into any lull in a conversation to fill the silence. But be content to listen and you’ll ask more insightful questions. Two ears are better than one big mouth and that’s a good thing to prove on your first trip to the local. 5. Appeal to their senses. You’ll build better rapport if you can identify which senses the people you’re meeting favour. Keep an eye out for verbal cues: “I see”/”look” in visual people; “I hear you”/”listen” in auditory types; “feel/feeling” or “get ahold of/in touch with” for the kinaesthetic among us. If you’re able to adjust your language accordingly, you’ll find people are quicker to warm to you if they understand you share commonalities. And you can’t get more profound than the senses. For more on this, read How to Make Someone Like You, In Seconds. And practically everyone will. 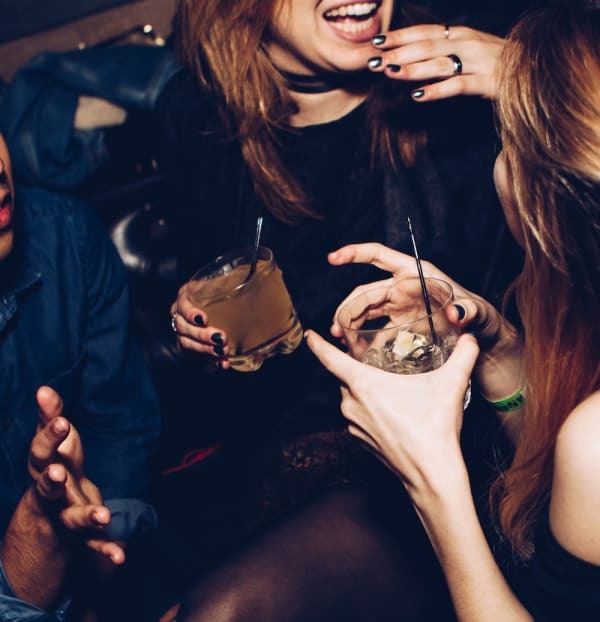 If you’ve stayed sober (-ish) and made several good first impressions, you’re on the home straight. The only thing standing in your way of a pass is how you work the room. This is the ‘don’t blow it’ portion of the evening. All things are easier said than done but here’s how you can end the evening on a high, instead of in a Morley’s shovelling food into your maw like a human bin. 1. Have an objective. By default, this will simply be: survive. You’ll likely be on the back foot from the off. So having objectives can help regain a bit of control over proceedings. It might be as simple as getting the longest-serving Consultant’s ear for 15 uninterrupted minutes, to get the lay of the land and rule out any off-the-record dealbreakers. 2. Dress for it. If it’s dress down Friday and you rock up in your Sunday best, you might look a little out of place doing the limbo for Jager bombs. Even if it’s been pitched as casual, make sure what you’re wearing’s appropriate. This is ‘fitting in 101′. 3. Practice your intro. It doesn’t need to be a monologue. Just a few lines, a bit shorter than an average elevator pitch. Settle on an agreeable way to introduce yourself. Then go over it in your head a few times before the main event. Steadies the nerves and eliminates some of the “umms” and “errs”. 4. Plan your exit. Beer tests run an increased risk of failure the longer they go on. Do yourself, your kidneys, your bank balance, sanity and career prospects a favour by getting a cab before you need pouring into one. And book in advance if you can: it will give you the forewarning to work the room one last time instead of pulling an Irish exit. 5. Following up. First thing next morning, hangover or not, be the first to send a follow up message. It’s just a nice thing that a lot of people forget to do. Possibly because they got too wasted. For more, read How To Nail Everyone At a Networking Event. No, not like that. Remember that beer tests work both ways, same as any other interview. It’s as much your opportunity to rate a prospective new employer as it is theirs to rate you. If you’ve been invited to the beer test, it means you’ve done well. Not everyone gets this far. It’s less an examination of your mettle and more a last check to make sure you get on with the team. If you fancy your chances running the gauntlet with a new brand, why not look at who’s hiring on Hunted? See if you can find a company that whets your whistle. 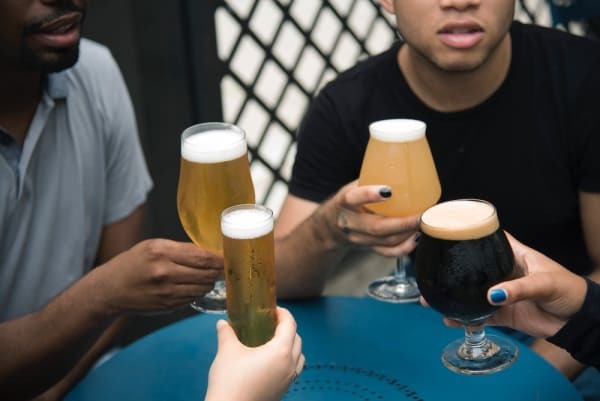 And if you’d like to read how Ed Hunter turned the tables on the beer test, let me fix you a tall glass of this email thread. In all seriousness, drinking’s good fun until it isn’t. So please drink responsibly.